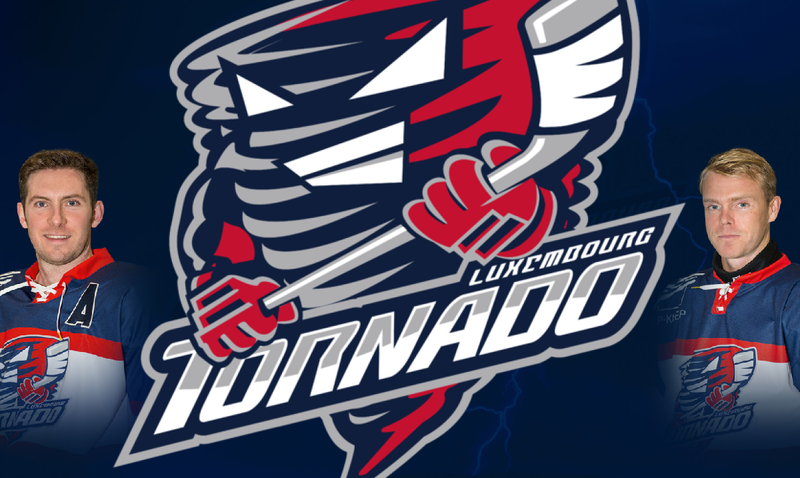 Tornado played its third game of the season and second on the road Saturday night in Epinal and remains without a point in the 2009/2010 championship. As usual, the first period was the worst of the game as Tornado couldn’t find any rhythm whatsoever and fell behind 0-1 after 58 seconds on a goal by Epinal’s Renouard. Yann Livolant had to fill in for Tornado’s injured first goalie Gilles Mangen . At 4:51, the same Renouard found the back of the net again on a breakaway and the Tornado squad seemed to be in the same trouble than last Saturday against Strasbourg. When Maire scored the 0-3 for the home team at 16:48, the hole Tornado had dug itself seemed to be too big to creep out of at the break, especially since defenseman François Schons had to go to the hospital to get stitches on the lip and losing two teeth after an uncalled high-stick. Re-energized and fully motivated, the guests from Luxembourg hit the ice in the second period with the will to get back into the game. But it was Etienne who managed to help Epinal go up 4-0 at 23:34. A series of penalties and ensuing 5 on 3 power plays gave Tornado the chance to try and turn the game around. And they almost did. First, Kai Linster scored from the blue line on a pass by Thierry Holtzem at 31:13, just 8 seconds before the first penalty expired. Then 2 ½ minutes later, at 33:48, Linster had another blast from the blue line that was deflected under the crossbar by Steven Minden . A minute later, the hopes for a comeback by the Luxembourg team were revived when Benny Welter converted a defensive mistake by Epinal into an easy goal. With a score of 3-4, Tornado was poised heading to the break. In the third, Tornado established camp in the Epinal end, but failed to score on numerous chances. Welter hit the crossbar and Huther hit the post, but luck seemed to be with the Epinal goalie as nothing went in. And as bad came to worse, on one of the rare Epinal scoring chances, Lanois put all Tornado hopes for a first win to bed when he scored the 3-5 final score at 58:24. Tornado deserved more than another loss in this high-intensity and injury-filled game and finds itself with the back to the wall in a must-win situation against Metz in two weeks, if they still want to maintain the objective of reaching the playoffs. Written by S50, 12/10/2009 13:48.